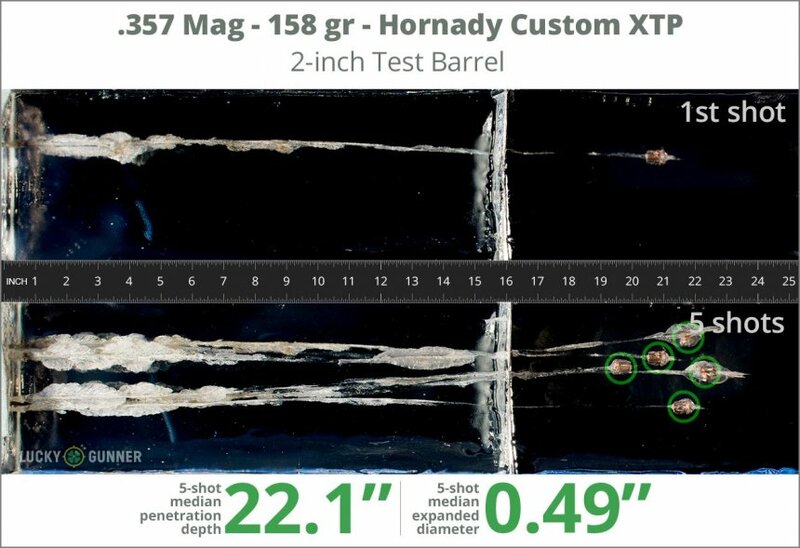 We test fired five rounds of .357 Magnum Hornady 158 gr XTP into synthetic ballistic gelatin to observe its expansion and penetration characteristics. 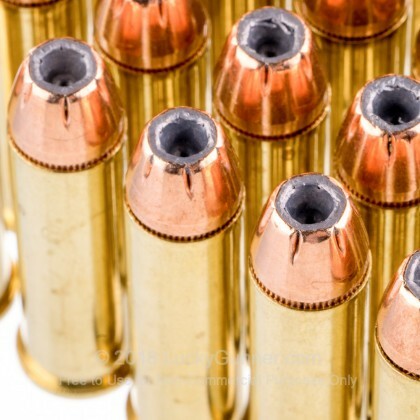 The ammo was fired from a Kimber K6s pistol at a distance of 10 feet. A four-layer barrier of heavy fabric was placed in front of the gelatin to simulate clothing. 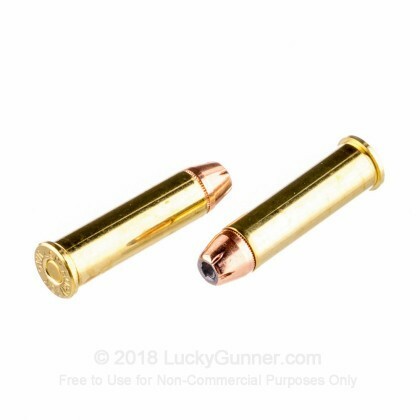 0.75" This ammo: 0.49" Min: 0.35" Median: 0.55" Max: 0.75"
22.1" 0" 9.2" 17.3" 41.7" This ammo: 22.1" Min: 9.2" Median: 17.3" Max: 41.7"
We test fired five rounds of .357 Magnum Hornady 158 gr XTP into synthetic ballistic gelatin to observe its expansion and penetration characteristics. 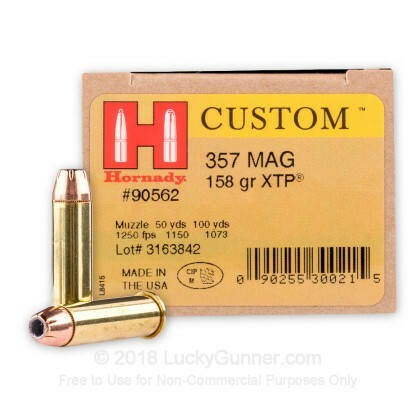 The ammo was fired from a Ruger GP100 pistol at a distance of 10 feet. A four-layer barrier of heavy fabric was placed in front of the gelatin to simulate clothing. 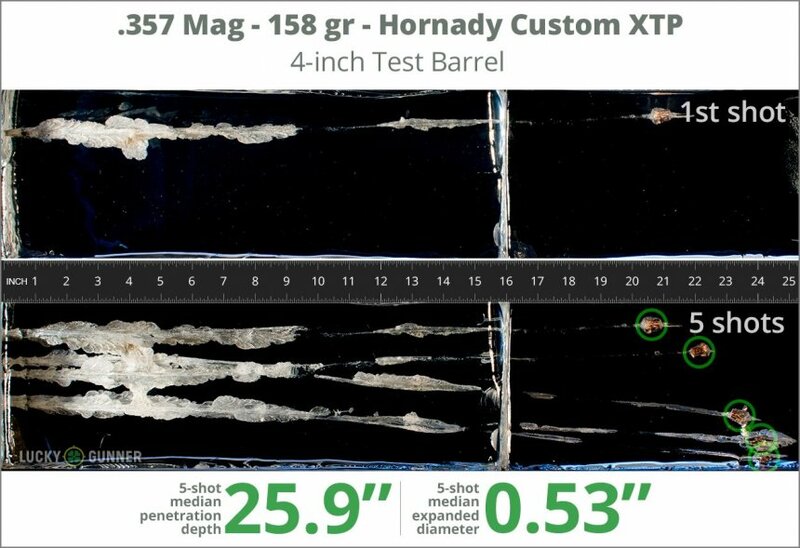 25.9" 0" 9.2" 17.3" 41.7" This ammo: 25.9" Min: 9.2" Median: 17.3" Max: 41.7"
This is a great round. Shoots flawlessly out of all my magnum handguns, Colts and S&W's, as well as my Winchester 94 Trapper carbine. 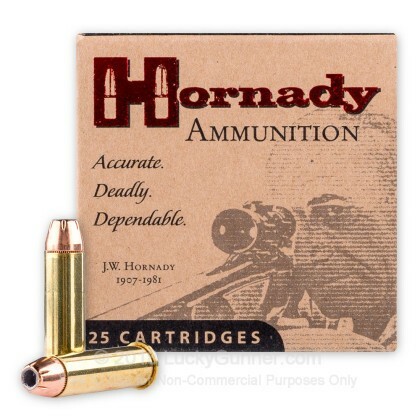 Low flash, clean, very accurate and recoil is manageable. As usual, Lucky Gunner service was awesome. Have not tried. But thanks for the great service. Lucky Gunner has it all. 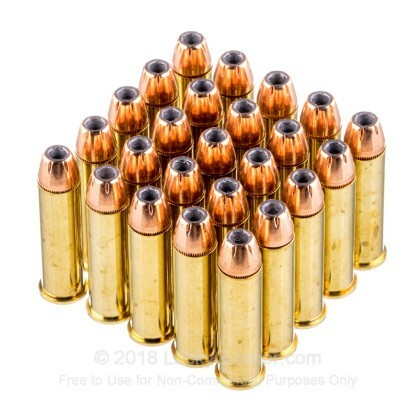 Super ammo. Its expensive but if there is a need it should do the job. 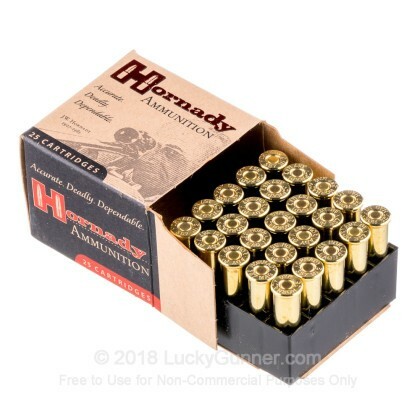 Hornady lives up to their reputation as a high quality defense ammunition. My range shots were consistant with no problems.